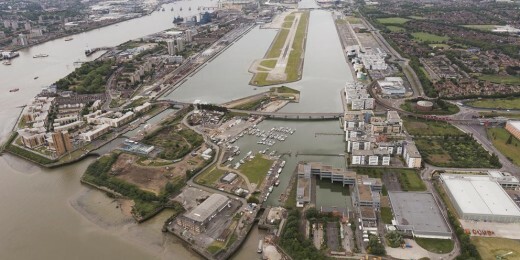 Proposals to further transform the Royal Docks and deliver 24,000 new homes and 60,000 jobs have been announced by the Mayor of London, Boris Johnson MP. Construction work will start on site later this year alongside two new hotels which are already underway. The Silvertown Partnership has already started restoring the iconic Millennium Mills at Silvertown Quays and will eventually deliver a new development including creative workspace, exciting new brand buildings and over 3,000 homes. Redbridge Welcome Centre is a new community and homeless project housed in a spectacular state of the art building on a prominent site in Ilford. The Welcome Centre houses drug and alcohol units, training rooms and drop-in facilities in dramatic double height spaces at ground and 1st floor level. Light and airy residential accommodation is provided in 10 en-suite rooms at 2nd and 3rd floor. 2,250sqft apartment designed for flexible use as a family residence, part office and gallery while maintaining vertical scale and visual interconnection. Split floor levels are carried by expressed trusses spanning the existing brick structure.